Mum would make date spread once a week and often on the same day she baked bread by hand. Yes that’s right, weighing, measuring, kneading…..and all with love. No fancy bread machines or Thermomixes in the 70’s! 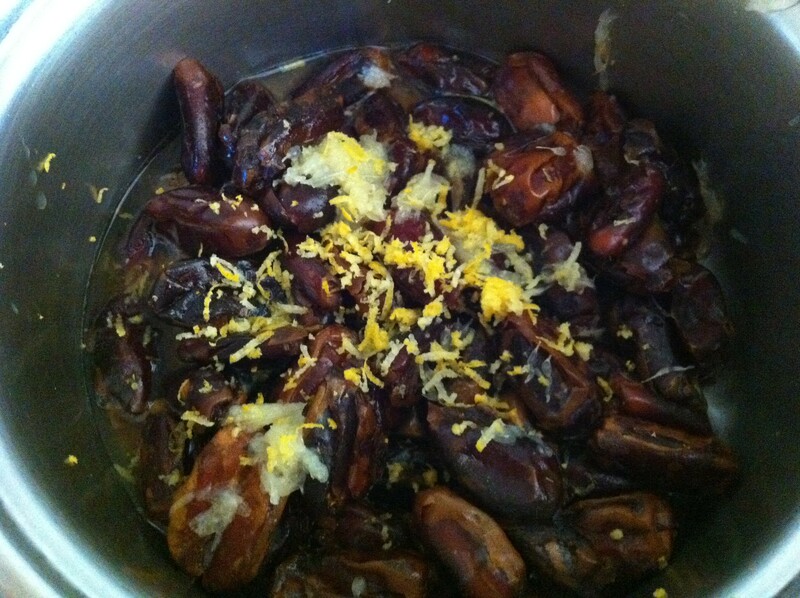 My Mum’s date spread would also have to be one of the easiest recipes under the sun. Place all ingredients in a saucepan on low heat. 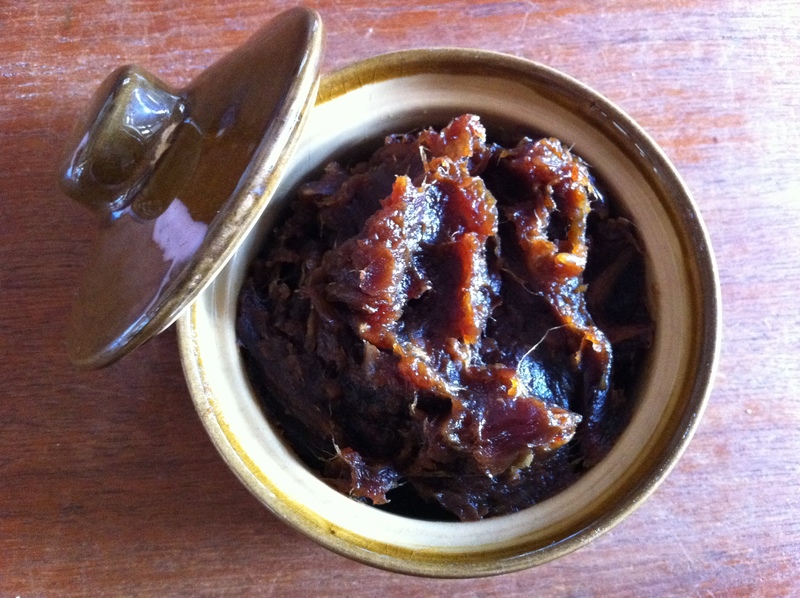 Stir until dates soften, become mushy and form a paste. Add water as needed. Remove from heat and allow to cool. Store in an air-tight container, in the fridge. Enjoy with fresh bread, crackers or scones. Anywhere you’d use jam really. It’s lovely when combined with a nut butter too. Variations: Orange juice and zest in place of the lemon is great, particularly if you’re kids aren’t lemon lovers. If you want to you can keep it plain by using water instead of the citrus and just use it as a sweetening paste to sweeten smoothies or other dishes.